Four countries and five organisations have been funded under the Grundtvig chapter of the Socrates programme of the European Union to share practice in learning for older people. This is the third publication in a family of materials we have produced. 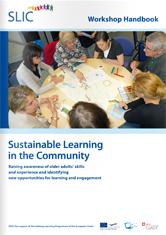 The other two publications are The learning age and Inter-generational learning. At first we spent time identifying barriers to learning for older people and studying how we try to overcome these in each of our countries. We extended our project by one year to produce a training programme which would give others the chance to learn from our combined experience, either in their own country or through transnational training programmes. 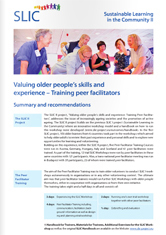 This manual is intended for use by trainers who are training others to work successfully with older learners. During the first year of our partnership we identified barriers to learning and possible ways of overcoming those barriers. We also put on a short training course. In our second year we expanded the training that we had developed during our first year. That training programme is written up here for others to use. European integration, intercultural learning, European citizenship and international co-operation – just a few of the ideas that have become more and more popular for the last few years. Parallel to this, new demands have been expressed both in our every day and professional life. As a result of this, institutions working in the field of community culture and adult-education have also been confronted more and more with the need of international experience to be able to answer new questions. However, in many cases, there is lack of such experience, which can be explained by several factors. First of all, the institutions in question often don’t have enough information and practice of how to get into contact with foreigner partner organisations. Then, they often don’t have the appropriate language skills to enter into partnership and to develop long-term co-operation with them. Finally, not having precise information about national and international funding possibilities makes also difficult to initiate and to realise international activities. 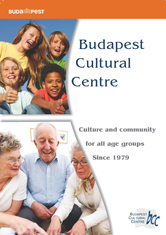 Therefore, the project called Stimulation and Initiation of EU-projects for Hungarian, German, Austrian and Slovenian Institutions of Culture and Adult-Education has tried to fill the gap which existed between the needs and the possibilities of the above mentioned institutions in terms of European co-operation. The booklet introduces the partner organisations and the adult education system of the different countries. and the Third Age University of Slovenia. 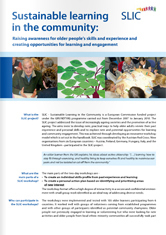 Four countries and five organisations have been funded under the Grundtvig Chapter of the Socrates programme of the European Union to share practice in learning for older people. This guide records our results. We hope that readers who work with older people in social settings, or those who have responsibility for providing learning opportunities for older people, will find this book of practical use. We would like to think that older people who are activists and volunteers would also find it interesting. In writing this guide, we have included some theoretical background and some contextual information. We have done our best to be succinct, so that our work is easily accessible to everyone, and to be conscious that our readers will mostly be non-English speaking.